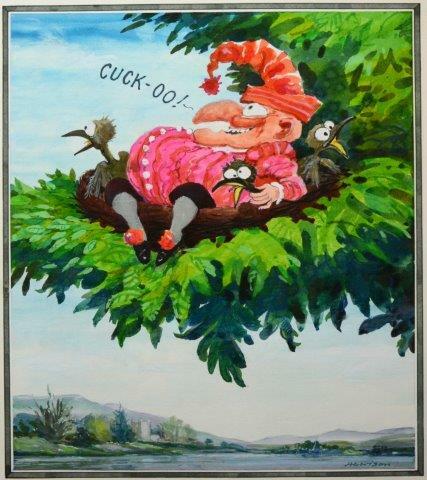 Original cartoons and caricatures by legendary cartoonist William "Bill" Hewison which for 30 years kept readers of Punch, The Times, The Listener, The Oldie and Europe magazine smiling are to be sold by Ewbank's. The sale of more than 1,000 original drawings by Hewison, art editor of Punch from 1960-1984, will be held over two days on December 9-10. The collection will be on view in part in London and in its entirety at Ewbank's saleroom in Guildford and bidding will be online only, courtesy of The Auction Room. In 1956 Hewison was invited to join the Punch editorial board as deputy art editor. 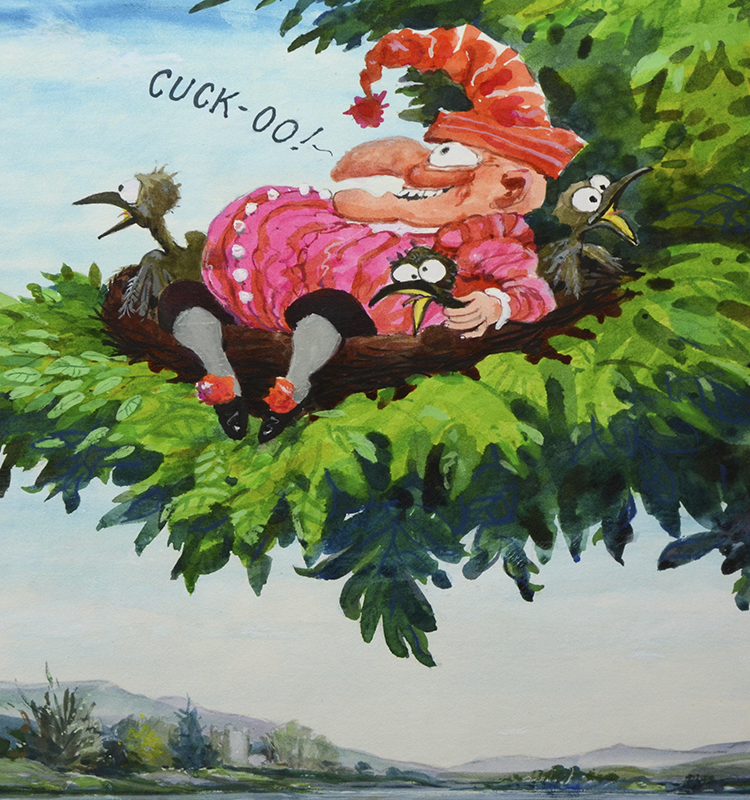 He won the position over Quentin Blake, only because, Hewison said, he was Blake's senior. He became art editor in 1960 and was responsible, with the editor, for selecting all of the cartoons that would appear in the magazine. When asked what he missed having left Punch, editor Alan Coren said: "What I miss most is those Tuesday mornings with the sadly late and very great Bill Hewison, my brilliant art editor, when we would sit at a huge leather-topped desk overlooking the complete absence of central heating, pull off our generously lent company mittens, and sift through the hundreds and hundreds of roughs submitted by the extraordinary numbers of extraordinary cartoonists which – and, remember, I speak as a writer – made Punch the brilliant and, most important of all, hilarious magazine it was. I miss the six hours of those golden-era Tuesdays when Bill and I would struggle – handicapped by constant helpless laughter – to choose, from 20 times as many, the 50-odd cartoons we needed to lift the readers' spirits and break their ribs in next week's magazine." Ewbank's sale will showcase Hewison's original artwork for no fewer than 40 iconic Punch front covers, together with numerous cartoons printed on its pages throughout the period he was associated with it. Another highlight is the collection within a collection of 250 cartoons for theatrical reviews for Punch until its closure in 1992 and subsequently commissioned by The Times. Hewison was a theatre caricaturist for 30 years. The sale offers the opportunity to purchase a caricature of virtually every actor who has been in a major production on the London stage from 1960-2000. Each drawing is inscribed with the name of the play, the theatre in which it was being staged, the opening date and, most importantly, the names of the actors and actresses depicted, making the cartoons a unique archive in their own right. The cartoons include caricatures of such performers as Laurence Olivier; Kenneth Branagh and Joanna Lumley. 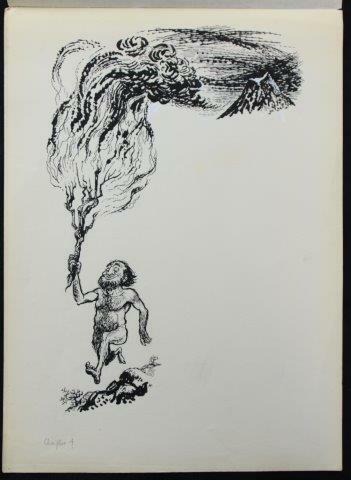 The most valuable single lot comprises Hewison's original 19 illustrations published in Roy Lewis's 1959 book "What we did to Father", a story charting human evolution, centred on the lives of a Stone Age family, estimated at £200-300.